The girls have been wanting a puppy for a long time now, even though we already have a dog. I think it’s in the nature of kids to want a puppy. We thought long and hard about it, since a puppy is a lot of work. 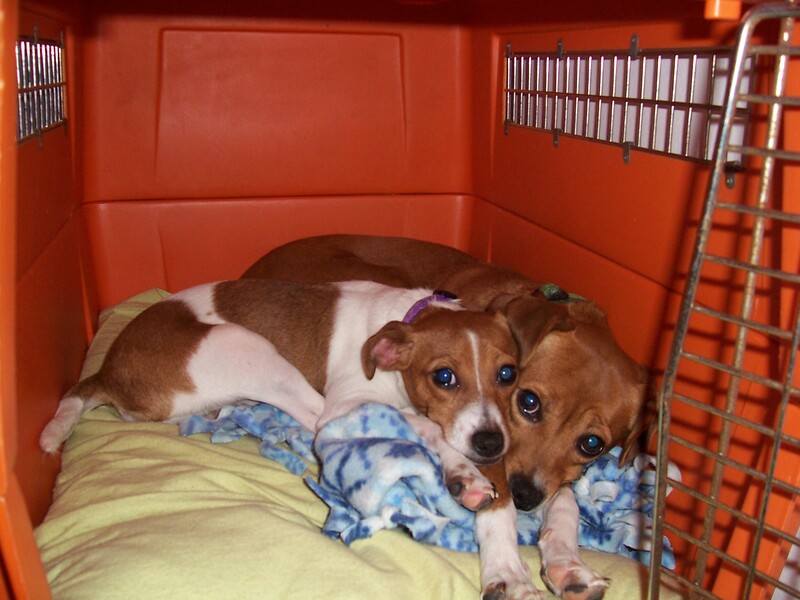 My wife did lots of looking online, and found a nice little puppy from a rat terrier rescue named New Rattitude. 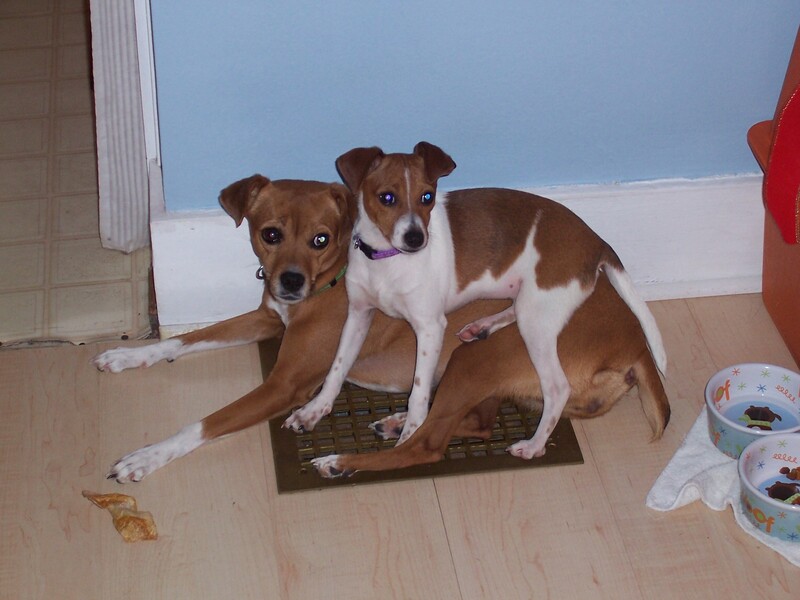 Lucky, the dog we already have, is a rat terrier, and we really like her. The lady that had the litter lived near us so she came for a visit and brought Claire. The girls didn’t know she was coming, and it was right around Em’s birthday, so it was a pretty big deal. In the end we decided to get her. We paid more than I ever thought we’d pay for a dog, but she came spayed, with shots, and a tracking chip inside, so I felt ok about it. I think she was a bit abused, or at least neglected, because she was pretty skittish. Lucky wasn’t sure she liked her either, but they’ve become very good friends. They play and wrestle together, and cuddle a lot. Here are some pictures, Claire is the smaller one.